HomeExpat Living In ThailandPension Income letters – proof of income letters service for British citizens living in Thailand ! Can you use a pension income letter to get a retirement visa in Thailand – yes we can do it for you guaranteed! The Consular Section (British Embassy)is able to issue a pension income letters addressed to local Thai Immigration confirming your pension/income to support the renewal/extension of your retirement visa. 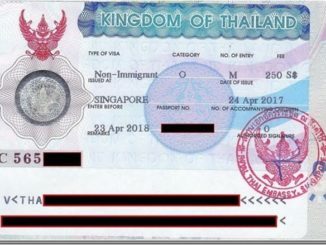 This letter is a Thai requirement and the granting of the visa is at the sole discretion of the Thai Immigration authorities, not the British Embassy. We provide a pension income letters service in Pattaya, visit our office & let us take the stress & hassle away.We can obtain our clients’ income letters from the British Embassy in Bangkok on their behalf without the need for you to travel to Bangkok. Call our Pattaya office on 038420313 – 0801022328 & let us take care of everything for you. Payment Options Credit Card Payment will be taken in GBP. Complete the Credit Card Authorisation Form They will provide your letter within 10 working days. Note: Please get in touch with us, if you want to discuss the alternative payment option.